From the first moments of Syner, when fantastic Aftonlandet starts playing, I knew that I am bound to love Syner significantly more than Fyra elegier, the EP predecessor by Grift. The EP definitely had its moments and breathed potential, but Syner is undoubtedly my Album of the Month. Nothing fancy or extraordinary on the surface, the honest earthy melancholy of this album is stunning. While not excruciatingly despondent, Syner just cleanses your soul when you feel disappointed or irritated. It just shows what you can achieve when you roll those minor-toned tremolo sequences, slice them piece by piece directly from the heart. Normally I like taking a few notes while listening to the music for the first few spins, but after the dark synth opening of Aftonlandet, the steady rhythm section starts playing underneath those shoegazing melodies … and I had to put the pad away. The soul just wanted to rest and float, the shear draw was just that amazing. Dreamy and expansive Svaltorna gathers strength through pain eventually and goes for more wounded and howling vocals that only had a hint of hysteria on Aftonlandet. This is still no Silencer vocally, but Grift manage to project searing grief through that howl when necessary (Det bortvända ansiktet). Every song on Syner has its clear culmination and memorable outro, pointing to more thoughtful songwriting. Svaltorna has a dark keys break, akin to some sad folk song, Undergorare first waltzes along to a classic 1-2-3 rhythm, but eventually switches to more flowing double bass. Even less metal Slutet hav, set to tambourine claps and keys that sound like harmonica, provides no respite and has its own high point. Yet extreme metal side of Grift is so well rounded on Syner, you don't want the band to take any sidesteps, you don’t want them to go exploring dark folk angles, but remain straight with their earnest soul screams, like Aftonlandet and the album’s closer Eremiten Esaias. I stand by my earlier claims that the fans of early Kampfar and Agalloch will find a lot to like in Grift. 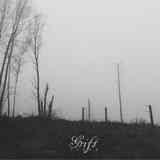 Those who enjoyed the works of Nasheim, Angantyr and Klabautamann, other bands on Northern Silence label, or something in the Quebec scene, have to be checking out Grift as well.